← Huh? What? Where Am I? Tonight Tammy crushed my lottery dreams and not just because we didn’t purchase a ticket. We were taking our after-work walk when I spotted the one thing I’ve always said I’d buy if we ever won the lottery. No, it wasn’t a Ferrari Testarossa or whatever the latest Lamborghini is called. I don’t think either of those would come close to being in our neighborhood, unless they were on blocks. I bet there’s someone famous in that Tahoe!! Nope, it just JWo. It was a black Chevy Tahoe. I don’t really know why I’ve always wanted one, but it’s prolly the first thing I’d buy if I had the funds. Me: Oh look, a black Chevy Tahoe. Me: That’s what I want right there, that’s what I’m gonna get if we win the lottery. Except I think I want black rims. Me: Did you just “huuuhhhhhh” me? Tammy: Because who gets the same color rims as their car? Nobody. Me: It’s like NASCAR. You don’t think that’ll look good? Me: People would think we’re famous if we have black rims. But I wouldn’t get tricked out tires though. We walked a little further and I was still thinking about how sweet my black Chevy Tahoe would look with me behind the wheel. Me: Man, I just wanna win the lottery one time. Tammy: Technically you already did. Me: Don’t be getting all technical. Besides, that didn’t count. I “won” $7 playing Power Ball in Arkansas after playing $6 so “technically” I only came out ahead a dollar and that hardly counts as winning. 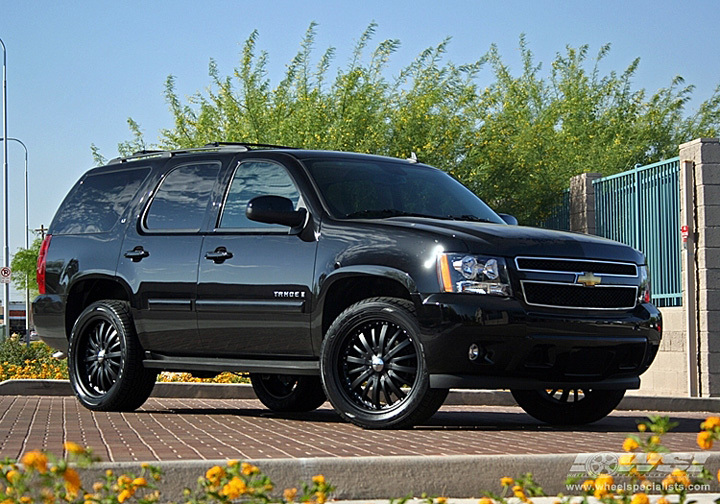 So hopefully one day my Tahoe will come. Remember buddy, people like us never win the lottery. The rednecks do. And we get to watch them drink it all away on cheap horse piss they call beer. They would TOTALLY make people think we were famous or something! !